"The medical establishment works closely with the drug multinationals whose main objective is profits, and whose worst nightmare would be an epidemic of good health. Lots of drugs MUST be sold. In order to achieve this, anything goes: lies, fraud, and kickbacks. Doctors are the principal salespeople of the drug companies. They are rewarded with research grants, gifts, and lavish perks. The principal buyers are the public - from infants to the elderly - who MUST be thoroughly medicated and vaccinated...at any cost! Why do the authorities forbid alternative medicine? Because they are serving the industry, and the industry cannot make money with herbs, vitamins, and homeopathy. They cannot patent natural remedies. That is why they push synthetics. They control medicine, and that is why they are able to tell medical schools what they can and cannot teach. They have their own sets of laws, and they force people into them. That is a mafia. 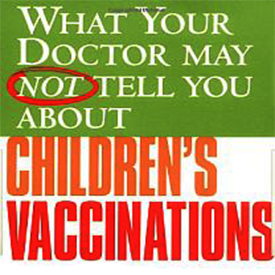 This sensational expose' also uncovers the truth behind vaccines, AIDS, cancer, the World Health Organization, the Rockefeller Foundation, the World Bank, and more." Guylaine Lanctot, M.D. What Really Goes on in Medical Trials? 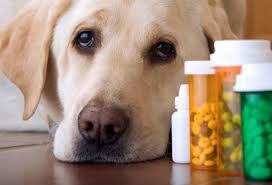 Are Pharmaceutical Endangering Our ANIMALS? In an unusually candid comment for a senior government official Dr. Herbert Ley, former FDA commissioner, remarked: "The thing that bugs me is that the people think the FDA is protecting them. It Isn't. What the FDA is doing and what the public thinks it's doing are as different as night and day." In 2000, the US Centers for Disease Control (CDC) carried out a secret mission to bury, skew, and manipulate data in six vaccine safety studies, in a coordinated effort to control the message that “vaccines do not cause autism.” They did so via secret meetings and back testing health-care data. The CDC invested tens of millions of dollars in a foreign health-care data analytics startup run by Danish scientist Poul Thorsen, a move to ensure that no link ever surfaced. But fate had other ideas. The agency soon learned it couldn’t control Thorsen. In 2011, the US Justice Department indicted him for the theft of more than $1 million of CDC grant money. Jerome Kassirer M.D former editor-in-chief of the prestigious New England Journal of Medicine. writes: "Some physicians become known as whores." This is strong language in Kassirer's look at how big business is corrupting medicine, but according to Kassirer, one doctor's wife used the word "whore" to describe her husband's accepting high fees to promote medical products. Such personal anecdotes distinguish Kassirer's look at the conversion of America's health-care system into a commercial enterprise. Kassirer notes the range of conflicts of interest between profit-centered business and people-centered medicine, such as the drug industry's huge expenditures (in the billions) for courting doctors to use their products, for recruiting physicians to tout their drugs or, more slyly, to present seemingly objective medical discussions that, on closer examination, do favor the company's product over others. Master Manipulator exposes the CDC’s hidden agenda for the cover-up. Influenced by Big Pharma money, future high-paying jobs, and political lobbyists, CDC executives charted a course different than what the findings of earlier vaccine safety studies revealed. The CDC needed an outsider to “flatten” the results of the data, while building an exit strategy: a fall guy in case the secret plan was exposed. Thorsen fit the bill nicely, conducting studies overseas. But the CDC’s plan backfired, as Thorsen took the money to the bank and the power went to his head. It would take years for his fraud scheme—funneling CDC grant money to a Danish university and then back to a CDC bank account he controlled—to play out. This is a true story of fraud and betrayal, and an insider’s view of what takes place behind the closed doors of agencies and drug companies, and with the people tasked to protect the health of American children. It’s a cautionary tale of the dangers of blind trust in the government and the health-care industry. Scientist and doctors who try to adopt an approach which threatens the current medical and pharmaceutical situation often end up suffering persecution from the "mafia" which range from public ridicule, loss of research funding, suspension of medical licensing (just ask Ms Lanctot and many more). Ms Lanctot says that our greatest illness is that of submission, fueled by fear and our fascination with security and protection which are only fantasies at best. In her acclaimed book, THE MEDICAL MAFIA: How To Get Out of It Alive and Take Back Our Health and Wealth, Guylaine Lanctot, M.D. 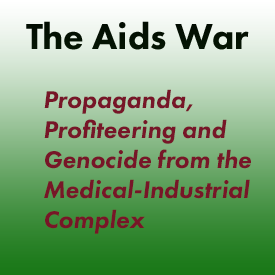 writes that the medical establishment works closely with the drug multinationals whose main objective is profits, and whose worst nightmare would be an epidemic of good health. Lots of drugs MUST be sold. In order to achieve this, anything goes: lies, fraud, and kickbacks. Doctors are the principal salespeople of the drug companies. They are rewarded with research grants, gifts, and lavish perks. The principal buyers are the public - from infants to the elderly - who MUST be thoroughly medicated and vaccinated...at any cost! Why do the authorities forbid alternative medicine? 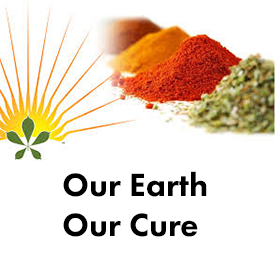 Because they are serving the industry, and the industry cannot make money with herbs, vitamins, and homeopathy. They cannot patent natural remedies. That is why they push synthetics. They control medicine, and that is why they are able to tell medical schools what they can and cannot teach. They have their own sets of laws, and they force people into them. That is a mafia. This sensational expose' also uncovers the truth behind vaccines, AIDS, cancer, the World Health Organization, the Rockefeller Foundation, the World Bank, and more. This book is about so much more than the corruption among medicine, pharmaceuticals, government and "Health" Organizations like the WHO. It about regaining our health, our sovereign right as individuals, our freedom, self respect and love for our fellow man. While the current and corrupt "Medical Mafia" poison, maim and kill millions no one is happy with it; patients or doctors, except those who profit from it; the "industry" which involves expensive testing, toxic drugs and sweeping global population control policies. 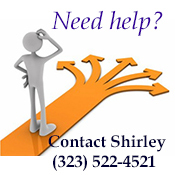 Ms. Lancelot offers a solution and the good news is that it is in OUR hands. 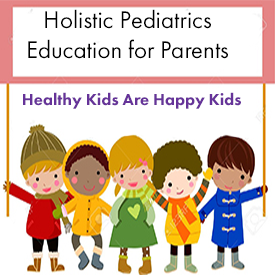 It involves claiming our right to make our own decisions about our health and that of our children and recognizing that same right in others, along with easy to follow suggestions about how to seek a responsible client/consultant relationship with a medical care practitioner. 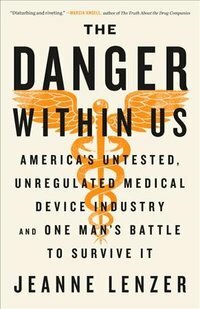 Jeanne Lenzer is an award-winning medical investigative journalist who presents an unsettling exposé of the under-regulated medical-device industry, revealing the corruption, greed and deceit that have combined to render medical interventions a leading cause of death in America. Dennis Fegen was implanted with a device called a Vagus Nerve Stimulator (VNS) which is meant to lessen epileptic seizures, among a dozen other things, all unproven. It dug its way into his jugular vein (from which it cannot be removed) and nearly killed him countless times, stopping his heart every three minutes. The company bullied the Food and Drug Administration (FDA), leveraged congressmen and withheld failure stats to win approval for this device, which studies say is essentially useless, when not dangerous. At least as many do worse with it as do better. The US military is now considering it for vets with PTSD. Medical devices are not tracked like prescription drugs. 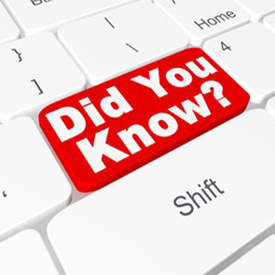 Lenzer estimates 70 million Americans have had implants in the last ten years alone. The number of people who died because of them is not collected either, and the FDA itself says less than 1% have been reported by the device makers. Since the number of reported deaths is 16,000, possibly two million have actually died. Annually. (Overall, the health care system is the number three cause of death in the USA.) Lenzer cites several experts who estimate that a good 50% of devices get implanted unnecessarily. Standard medical treatment would be just as effective, if not more so. And safer. Matthias Rath, M.D. 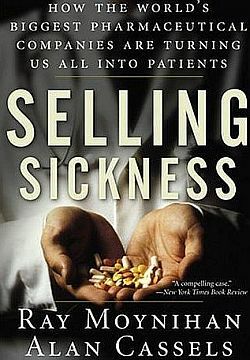 - "In recent years the pharmaceutical industry has been exposed as a multi-trillion dollar "investment business with disease", the future of which is dependent on the continuation and expansion of diseases. The very existence of the pharmaceutical industry is currently threatened. Damage claims from the deadly side-effects of one single drug are bringing down Bayer, the flag ship of this industry. The ensuing ‘domino effect’ would inevitably cripple this largest investment sector on earth. 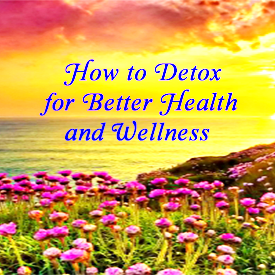 At the same time, scientific advances in non-patentable natural health offer effective, safe and affordable alternatives to the multi-trillion dollar market of patented drugs." "There's no money in healthy people", he says, and that truth is at the heart of our American health crisis. 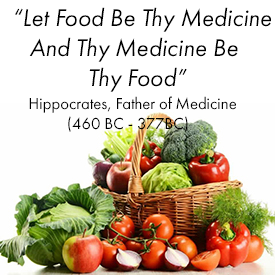 "By making it more difficult, and confusing, for you to make healthy choices, the food industries and the pharmaceutical industries are feeding their own megalomania. In truth, optimizing your health is not rocket science. But if you believe the media, and the pharmaceutical propaganda in particular, it may seem impossible to get by without emptying your wallet to buy your required pills for all those newly invented ills. Wake up, and take control of your own health. Be the master of your own life. Don't buy into the hype!" Dr. Henry Jones, M.D. "Soon after the medical monopoly was formed, it began to push its agenda of destroying all competition. A well-organized and -funded nationwide purge of all non-M.D.s was undertaken. Over the course of the first half of the Twentieth Century this medical monopoly managed to shut down over forty medical schools. Their idea was to keep the number of doctors low in order to keep fees up. After WW II the medical monopoly started rigidly controlling how many of each medical specialty it would allow to be trained. So, ophthalmologists, orthopedists, dermatologists, obstetricians, and others began to be in short supply. And of course when supplies are low, fees are high. The medical monopoly also managed to outlaw or marginalize over seventy health care professions. Protection of the health-care consumer was, as always, the rationale for this power grab. Whether the object of destruction by the medical monopoly be homeopaths, midwives, chiropractors, or Internet prescriber's, the purge is conducted in the same manner. No scientific proof or research data is offered to discredit these practitioners. The entire approach is one of character assassination directed at their profession." "The survival of the pharmaceutical industry is dependent on the elimination by any means of effective natural health therapies. These natural and non-patentable therapies have become the treatment of choice for millions of people despite the combined economic, political and media opposition of the world’s largest investment industry. Withholding life-saving health information from millions of people. It is simply unacceptable that today so few know that the human body cannot produce vitamin C and lysine, two key molecules for connective tissue stability and disease prevention. 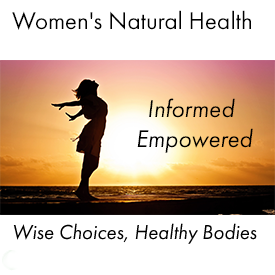 Discrediting natural health therapies. The most common way is through global PR campaigns organized by the Pharma-Cartel that spread lies about the alleged side effects of natural substances – molecules that have been used by Nature for millennia. 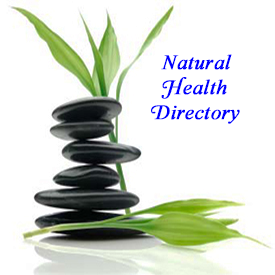 Banning by law the dissemination of information about natural health therapies. To that end, the pharmaceutical industry has placed its lobbyists in key political positions in key markets and leading drug export nations." "The medical industrial complex refers to the close-knit association of organized medicine with pharmaceutical manufacturers and governmental medical regulatory agencies. The connections between these groups is of course, a web of money, power, and prestige. Selling medical drugs is very big business. Medical research is dependent on $ billions of grants from the National Institutes of Health (N.I.H.) and the private pharmaceutical industry. The two are closely interlocked; managers in one tend to come from success in the other with many examples of interchangeable personnel." "Licensed doctors are easy to control. All practicing U.S. physicians must accumulate a given number of hours of continual medical education or C.M.E. But where does he acquire his C.M.E credits? From authorized C.M.E. 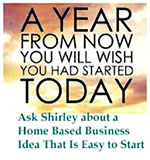 Seminars - that's where! And who authorizes which seminar for C.M.E. credits? Organized medicine, That's who! And who sponsors and who provides the speakers for C.M.E. credited seminars? The pharmaceutical industry and it's great funded corps of academic researchers, that's who!U.S. 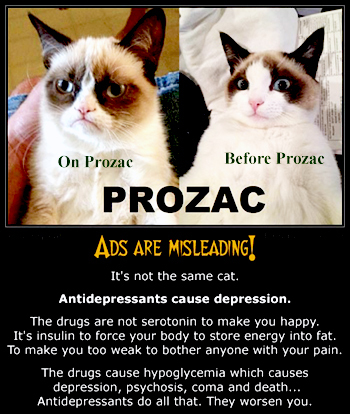 physicians are captive audience for pharmaceutical advertising. This applies to other countries as well. They learn which drugs to prescribe. They do not learn of alternative procedures and perhaps better ways of caring for their ill patients." 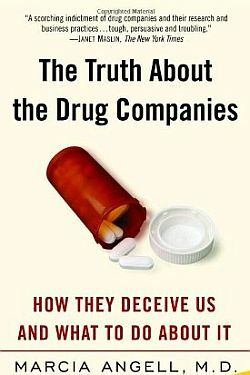 The Campaign Against Fraudulent Medical Research is a non-profit group dedicated to promoting true health and a clean environment by supporting valid research, disease prevention, freedom of choice in health care, a reduction in the use of toxicants, and independence of health care and environmental protection from the dictatorial influences of the drug/chemical interests. September 09 - Justice Department Announces Largest Health Care Fraud Settlement in Its History - Pfizer to Pay $2.3 Billion for Fraudulent Marketing. July 2003 - Pharmaceutical corporations accused of Genocide before ICC in The Hague Pharmaceutical companies including Pfizer, Merck, GlaxoSmithKline, Novartis, Amgen and Astra Zeneca are accused of deliberately preventing life-saving natural alternatives to drug based treatments from being applied in prevention and cure. A worldwide disinformation campaign undertaken by these companies is said to have caused the death of millions of people. In his acclaimed book Death by Medicine, Gary Null, Ph.D., offers a definitive review and close reading of medical peer-review journals, and government health statistics shows that American medicine frequently causes more harm than good. The number of people having in-hospital, adverse drug reactions (ADR) to prescribed medicine is 2.2 million. 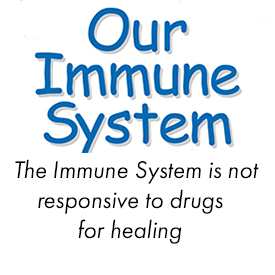 Dr. Richard Besser, of the CDC, in 1995, said the number of unnecessary antibiotics prescribed annually for viral infections was 20 million. Dr. Besser, in 2003, now refers to tens of millions of unnecessary antibiotics. This is a stunning compilation of facts that documents that those who seek to abolish consumer access to natural therapies are misleading the public. Over 700,000 Americans die each year at the hands of government-sanctioned medicine, while the FDA and other government agencies pretend to protect the public by harassing those who offer safe alternatives. 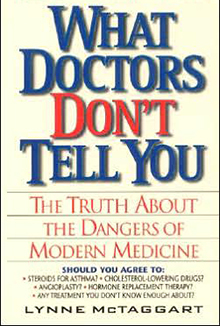 Lynne McTaggart, author of What Doctors Don't Tell You : The Truth About the Dangers of Modern Medicine writes that Americans have become so accustomed to following doctors' orders that many prescriptions, medical tests, and surgical procedures are accepted without question. This blind faith can be dangerous! 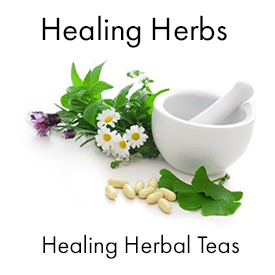 Modern medicine offers us a wide range of powerful treatments for ailments large and small. But did you know that some common "cures" come with serious, life-threatening risks, or may do nothing at all? 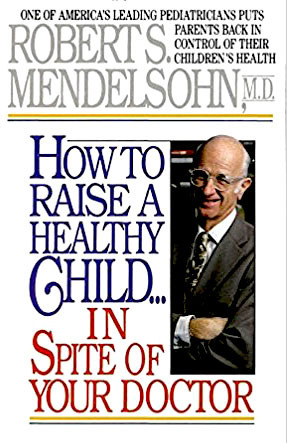 This groundbreaking book, written by an investigative journalist, exposes questionable, harmful, often life-threatening medical practices which all consumers should be aware of, including treatments for asthma and arthritis, cholesterol-lowering drugs, and heart surgery. Linda Johnston, MD, DHt - "Many efforts were used to advance the allopaths by discrediting, restricting and abolishing the Homeopaths. Typical were the laws passed in the early 1800's to prevent any practitioners of medicine other than the allopaths from being able to go to court to collect non-payment of fees. In every case, these and other similar laws were unenforceable and extremely unpopular with the citizenry. All were repealed within a few years. Undaunted, the allopathic doctors then turned to their own medical societies rather than the legislative process to carry out their desire for effective restriction of Homeopathy. Allopaths granted themselves the right to restrict society membership, which was tantamount to licensing powers. Fines were levied against anyone practicing medicine without such a society membership. They had successfully usurped the power to control who could practice. Eventually even these fines were also rescinded due to unpopularity with the citizens. Pennsylvania and New York were the first states to forbid membership in the society by medical doctors who practiced Homeopathy. State medical society membership and representation in the AMA required that these societies purge themselves of any member Homeopaths. After 1847, all state societies did this, except Massachusetts. 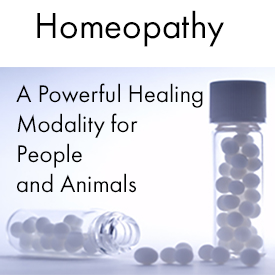 In addition, professional exchange, consultation and even conversation between allopaths and Homeopaths were banned. This ban on interaction between the two groups is a striking example of how a private organization, the AMA, could completely flout the public will, and take punitive action for something that was totally legal." The FDA has approved a reformulated version of the much-prescribed Prozac known as SSRI (selective serotonin reuptake inhibitor) but this one is just for dogs. Reconcile was created to treat canine separation anxiety. The label doesn’t make any mention of the documented connection between antidepressants and violence towards others, nor the drug’s propensity for causing mania, or increased feelings of hostility or anxiety in humans. The FDA's Center for Veterinary Medicine (CVM) is responsible for regulating drugs and food additives used for animals--both food-producing animals and family pets. The FDA encourages veterinarians and animal owners to report adverse drug experiences and product defects associated with animal drugs or animal devices (such as thermometers, glucose meters and bandage materials). 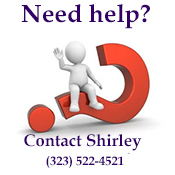 Adverse drug experiences can include side effects or other problems. 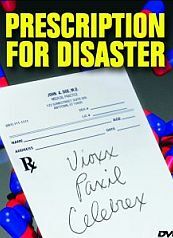 The FDA pulled the Vioxx drug off the market after thousands of people ended up dead from taking the drug. Yet, the veterinary version of the Vioxx, Previcox, is being pushed onto our pets although it has the same risks and causes deaths in animals. In 1962, the Delaney Clause was modified to permit the FDA to approve the use of carcinogenic compounds in food-producing animals if certain conditions were met. "The FDA felt that food-producing animals could be exposed to carcinogenic drugs and not necessarily pass cancer-causing chemicals on to humans," Woodrow Knight, Ph.D., director of the CVM's Division of Production Drugs. Although controlled studies are performed to evaluate the safety and efficacy of veterinary drugs products, these studies might not identify small groups of animals at higher risk of experiencing adverse events. Post-marketing monitoring of adverse events provides the government, manufacturers and veterinarians with critical information about the safety and efficacy of products. If adverse events occur, reporting them allows the government, manufacturers and veterinarians to investigate and determine if the product's labeling or use should be changed. Adverse events are rare and the majority of them are minor, but some can be life-threatening. The Federal Food, Drug, and Cosmetic Act gives FDA the legal authority to approve and regulate drugs for animals. 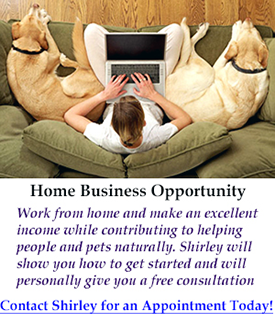 Before a drug company can market an animal drug, the company must get the drug approved by FDA. However, in 2010 at least two veterinary drugs made by Teva Animal Health, Inc., a division of Israeli-based Teva Pharmaceutical Industries, were recalled by the FDA, which shut the company down. The recalls involve two commonly used injectable veterinary drugs: butorphanol, a fast-acting opioid used to control pain from surgical procedures in dogs and cats, and the anesthetic agent ketamine. Ketamine is part of a "cocktail" of drugs that induces anesthesia in animals, including dogs and cats. It can be used, usually with Valium, prior to surgery, a dental cleaning and sometimes as a form of restraint for procedures such as an imaging scan. It's not the only drug that can be used in this way, but it's one of the most common. FDA does not regulate vaccines for animal diseases. 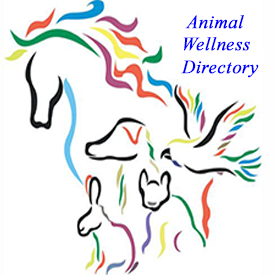 Veterinary biologics, including vaccines for animal diseases, are regulated by the U.S. Department of Agriculture. If you disagree with your doctor regarding the medical treatment of your children, they can be taken away from you, put in a foster home, and you can be arrested for endangering the health and welfare of your child. There are many people jailed every year, put there for disagreeing with medical doctors and their policies. In order to break free from the clutches of organized medical crime, pharmaceutical drug cartels and the monstrous insurance companies, we must all work to change the unconstitutional laws that monopolize health care. Corruption is endemic in the pharmaceutical industry in America. Big Pharma is corrupting doctors to further their greed. Profit comes first, ethics, well being of patients are secondary. Too many doctors are caught in this web of greed. In 2008, Biederman was nailed by Congressional investigators for taking $1.6 million from drug makers from 2000 to 2007 and failing to report most of this loot to his university, a major conflict of interest in violation of the rules. In a February 26, 2009 deposition given by Biederman to several states attorneys (who were claiming that makers of antipsychotic drugs defrauded state Medicaid programs by improperly marketing their medicines). Psychiatric drugs cause major changes in brain chemistry and in behavior. International drug regulators warn that the drugs we are doling out to kids can cause mania, psychosis, depersonalization, suicidal and even homicidal ideation. Big Pharma is now one of, if not the largest, advertisers in the United States, with $5 billion a year spent on direct to consumer advertising. The Pharmaceutical Drug Racket report by the General Accounting Office in the United States revealed that 51.5 per cent of all drugs introduced between 1976 and 1985 had to be relabeled because of serious adverse reactions found after the marketing of these drugs. These included heart, liver and kidney failure, fetal toxicity and birth defects, severe blood disorders, respiratory arrest, seizures and blindness. The changes to the labeling either restricted a drug's use or added major warnings. According to the Food and Drug Administration (FDA), 1.5 million Americans were hospitalized in 1978 as a consequence of taking drugs and some 30 per cent of all hospitalized people are further damaged by their treatments. Every year, an estimated 140,000 Americans are killed because of drug taking (21) and one in seven hospital beds is taken up by patients suffering from adverse drug reactions.